Football season is upon us, and our arrival into the SEC has brought tailgating to a whole new level. Although tailgating is one of the best things about college game day, it can also be not-so-kind on your waistline with all the fattening foods at your fingertips. But not to worry, with a little creativity you can make delicious dishes to share without anyone at your tailgate even guessing they’re healthy. Take a healthy appetizer, and make it into finger food. These little skewers are easy to make and easy to eat. They also have a healthy dose of vegetables and calcium. 1. Bring vinegar to a boil in a saucepan, and then simmer it for 10 minutes or so until it thickens. 2. Put it in a measuring cup and let cool. 3. 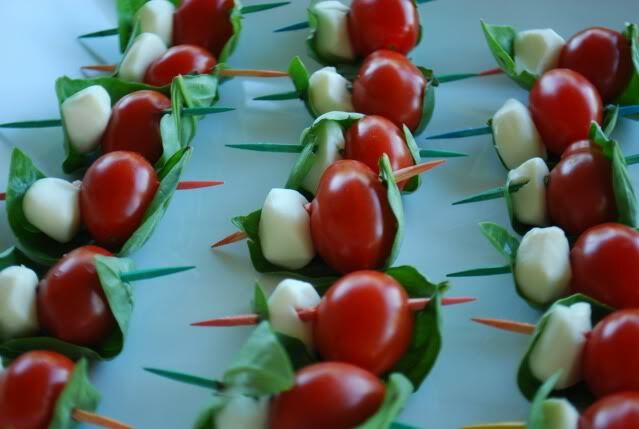 Assemble each skewer with one tomato, mozzarella ball and a basil leaf. Repeat with remaining skewers. 4. Sprinkle each skewer with salt and pepper to taste. 5. Drizzle some of the balsamic vinegar over the top and serve. This salad is super versatile and a crowd-pleaser. If you don’t like shrimp, you can leave it out or substitute chicken. 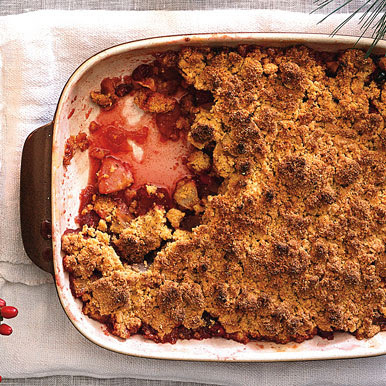 It’s great as a side or a main dish! 1. 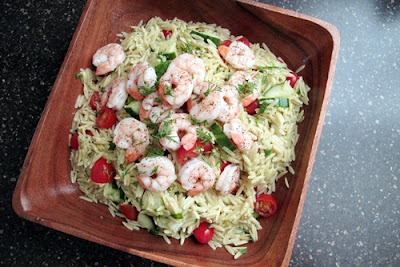 Combine orzo, cucumber, green onions and tomatoes in a large bowl. 2. Place dill, vinegar and mustard in a blender and blend until smooth. 3. With the motor running, slowly add the olive oil and blend until emulsified. 5. Pour the vinaigrette over the orzo mixture and stir to combine. 6. Gently fold in the feta cheese. 7. Heat grill to high. 8. Brush shrimp with oil and season with salt and pepper. 9. Grill for approximately two minutes per side or until just cooked through. 10. Top with salad with shrimp and garnish with additional dill. *Serves 4; recipe can be doubled or tripled. Who says dessert can’t be healthy? This crisp has tons of flavor and nutrients from the fruit without extra fat. Plus it’s great served warm or cold, which is always a bonus when you are trying to juggle a tailgate. 2. Coat a 13 x 9 pan with cooking spray. 3. In a large bowl, combine all ingredients. 4. Transfer to baking dish and sprinkle with topping. 5. Bake until topping is browned and juices are thick and bubbling around the edges, 55-60 minutes. 6. Let cool at least 15 minutes before serving. Using an electric mixer, beat on low until coarse crumbs form.